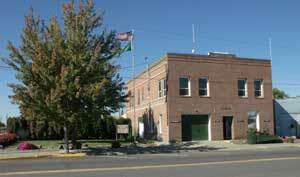 All meetings at Mabton City Hall, 305 Main Street, Mabton, Washington, 98935. For further information, contact city staff at (509) 894-4096. The City of Mabton has an open position for a Police Chief and a City Treasurer. The goals of the website are to provide information, promote civic engagement and attract economic investment into our community. The City of Mabton will work in partnership with residents, businesses, schools, community groups and government agencies to promote opportunity and enterprise that assist businesses and families thrive and grow.